A vast fire erupted early on Friday in the southern Bulgarian Black Sea city of Burgas, claiming one victim. 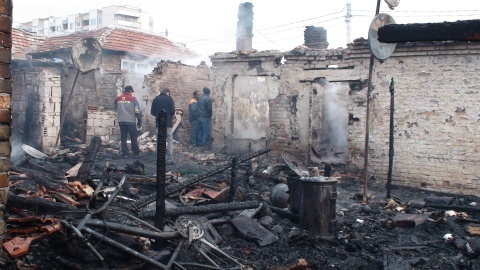 A 24-year-old man perished in the fire that was located in the city's Meden Rudnik district, the Bulgarian National Radio has informed. The fire was most probably caused by a wood-burning stove. The fire was extinguished at around 8:30 am local time. A total of 20 people were evacuated from the nearby buildings.